A diet rich in fruits, vegetables and lean protein is important to good health. These foods are rich in many nutrients important to heart health and aging well. Many foods have small amounts of Ubiquinol CoQ10, but it's much easier -and safer - to get the nutrient in supplement form. But some nutrients, including CoQ10 (especially in the Ubiquinol form), are difficult to consume through diet alone. In these cases, taking a dietary supplement can be the only way to safely get an adequate supply of a nutrient that’s lacking in many foods. Millions of people take a Ubiquinol CoQ10 supplement to promote heart health, support healthy aging and replenish CoQ10 levels depleted by cholesterol-lowering statin drugs. A typical daily serving of Ubiquinol is 100 milligrams. Technically speaking, it’s possible to get this daily serving without a dietary supplement – if you’re adventurous and unusually hungry. 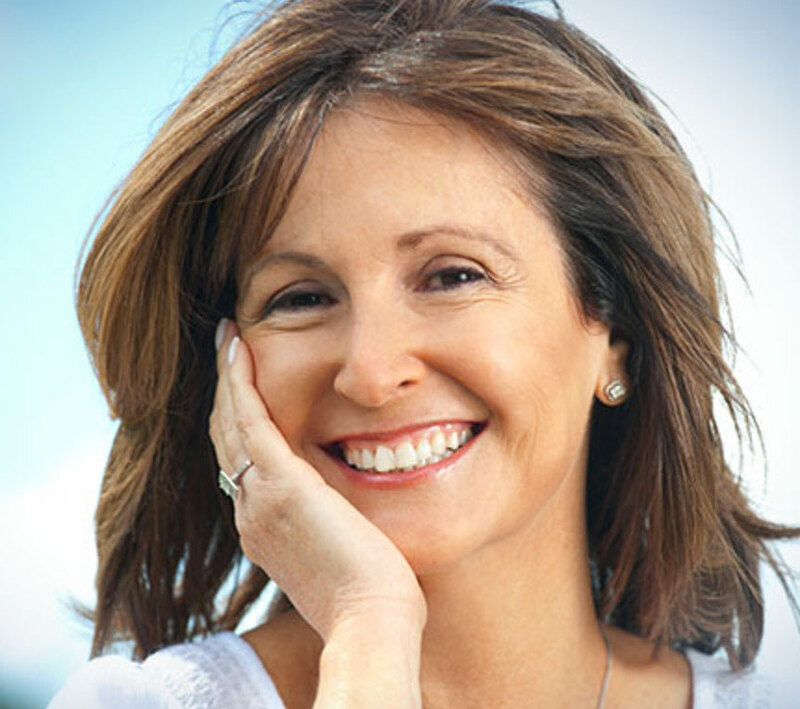 Here’s how to get 100 milligrams of Ubiquinol CoQ10 from foods rich in the nutrient, using information from this 2008 peer reviewed article in the Journal of Food Composition and Analysis. Fair warning: Eating so much of these foods seems really dangerous and, in some cases, disgusting. Check with your doctor before eating an excessive amount of these foods! People have cultivated cabbage for nearly 2,000 years not only because it’s delicious but also because it’s thought to have certain healing properties. You probably know this leafy vegetable more for its smell than for it being a great natural source of Ubiquinol. 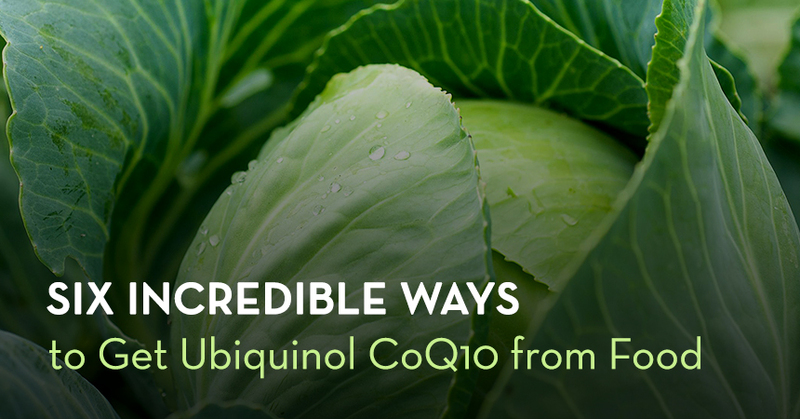 Obtaining 100 milligrams of this advanced CoQ10 (a la cabbage) requires you to eat an incredible 133 cups of the leafy vegetable. Good luck with getting the smell off your kitchen apron. Broccoli is one of the world’s healthiest foods. It’s delicious when steamed and requires no seasoning. This superfood is full of vitamins A, D, K, plus healthful flavonoids. Broccoli is also a super source of Ubiquinol CoQ10, but you’d need to eat a few buckets of the vegetable to get the same amount of Ubiquinol found in a daily supplement serving. By buckets, I mean roughly 77 cups. I think I’ll pass. Marine biologists call them bivalve molluscs; you know them as those tasty oysters often served on the half shell at fancy seafood restaurants. Oysters are high in protein, low in calories and abundant in nutrition. They’re also full of CoQ10 in the Ubiquinol form, which makes the clams a heart-healthy dining option when eaten in moderation. But like anything, you can have too much of a good thing. Getting 100 milligrams of Ubiquinol CoQ10 from these shelled delights means eating 921 of them. That’s enough to make the stomach turn inside even a diehard seafood fan. Related Article: Four Habits That Drive Nutritionists Crazy! Beef liver may not be popular on the American dinner table but the organ meat is loaded with nutrients. It’s a vitamin B12 jackpot and a surprisingly good source of the Ubiquinol form of CoQ10. Sadly, you’ll need to eat more than five pounds of beef liver to get 100 milligrams of Ubiquinol CoQ10. That much liver would probably overload your body to the point of toxicity. Avocados are delicious and contain nearly 20 essential nutrients. In moderation, they can be a wonderful source of healthy fats and a good way to add fiber to your diet. Unfortunately, you’d need to eat a silly amount of this fruit to get the same amount of Ubiquinol in a typical daily supplement – at least 187 average-sized California avocados, to be precise. Be prepared to run a good 400 miles. That’s how much exercise it takes to burn off the 40,000 calories found in 187 avocados. Yikes! If you’re like most people, you enjoy the taste of oranges and know they’re packed with essential nutrients such as vitamin C. The sugar in a glass of its juice can give you a jump on your day. It’s hard to argue oranges are anything but nutritionally sensible. That is, unless you’re counting on them to give you a 100 milligram daily serving of Ubiquinol CoQ10. You’d need to eat a staggering 868 oranges to get enough Ubiquinol to match what’s in a typical Ubiquinol CoQ10 soft gel capsule. I’m not even sure that much fruit would fit in my trunk. Yes, you can find small amounts of the Ubiquinol form of CoQ10 in many foods, but it’s much easier – and safer – to get the nutrient in supplement form. Don’t be silly. Instead of eating your weight in cabbage and oysters, head to a vitamin store and pick up a bottle of Ubiquinol. This free buyer’s guide should help. Skip all those avocados and the 5,400 grams of fat in them. Your heart and your stomach will thank you.